livewell.lovealways | Eat healthy, exercise often and always love. Eat healthy, exercise often and always love. Water should be consumed before, during and after your workout. 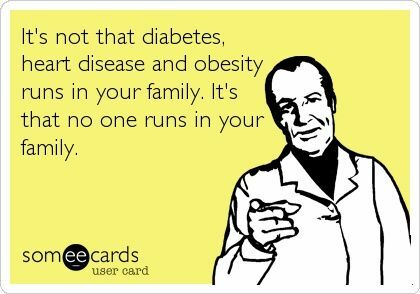 I wouldn’t bother with sport drinks…the average person doesn’t need the added sugar and can get the electrolytes from healthy food choices. After a good sweat session, get yourself a lean protein meal, still avoiding that takeout! Chicken, fish, lean pork or beef with TONS of veggies are great choices post-workout. If you find you have some tummy troubles during your workout, this may be caused by too much fibre. Try eating your snack earlier or avoiding high fibre options like the Wasa crackers. You could replace these with rice crackers, banana, or toast. So add some great pre-workout snacks to your weekly meal plan and you will find you have more energy to lift just a bit heavier, or run just a bit further! The only person you should be comparing yourself against is who you were yesterday, so always do YOUR best. Have a great week, live well, love always and healthy snacking! Enjoy! Live well and love always, have a great week! The 5 Necessary Work Day Stretches! You know the feeling…stiff neck, sore back, eyes feel groggy and heavy. You have been sitting at your computer for the last 8 hours but it feels more like 12! Try a 10 min stretch and/or walk break morning, lunch and afternoon and you should feel more awake, happier, more productive and have less pain! It is easy, doesn’t make you all sweaty and only takes a few minutes. Here are the 5 stretches I think are the most important for jobs that require a lot of sitting. If you have the time to get up, walk around and/or do a few stairs you will really feel the benefits of stretching and increase your alertness. 1)Neck stretch: Sit on your left hand, and tilt your head to the right, still looking forward. Use your free right hand to either support your head or press down gently for added stretch. Hold for 10-30 sec and repeat on the other side. Use your free right hand to lift your head back up to neutral to avoid excessively using your neck muscles. 2)Neck stretch #2: To stretch another overused neck muscle, the levator scapulae, perform the same move as above except til your head down and to the side, as if you are trying to sniff your armpit! Trust me, it works! 3)Chest stretch: During the day our shoulders will round and slump, putting more stress on the upper back and neck muscles, as well as creating a chain reacting down to poor lower back posture. Stand beside a wall, facing to the side. Put your arm from the elbow to the hand against the wall, with 90 degrees at both the shoulder and the elbow. Step forward with the foot closest to the wall. Hold for 10-30 sec and repeat on the other side. 4) You may experience low back pain from sitting in a chair all day which could be due to tight and overactive Hamstrings and Hip Flexor muscles that are tilting the pelvis to the posterior, creating back pain. Sitting in your chair, extend one leg with the toes facing up, keeping the other flat on the floor. Hinging from the hip (NOT the lower back) bring your chest forward. You will feel a pull at the back of your leg. Hold 10-30 sec, repeat for the other leg. 5)Stretch the Hip Flexors and Quadriceps by standing up, near something sturdy for balance and grabbing your “shoelaces”. The knee should remain in line with the other knee and upper body is tall and upright. Hold 10-30 sec and repeat for other leg. When stretching, you should never feel pain, only a slight pulling sensation which could be uncomfortable if you have never experienced it before. If you feel pain, immediately pull back on the intensity of the stretch or stop the stretch all together. Always check with your doctor before starting a new exercise program! Remember, every little bit counts, live well and love always! I am constantly hearing about fitness fads and am asked by clients what’s good or bad. Well, a juice only cleanse is one of the bad ones, as most weight loss health fads tend to be. A recent article I read in States News Service, 2013 interviewed 2 dietetic interns from Vanderbilt University. The article outlined that because of the extreme calorie deficit, people on juice cleanses feel extremely fatigued, they are missing key nutrients as well as calcium and protein. A juicier will remove all the fibre rich skins from the fruit and vegetables, which keeps you fuller longer and supports a healthy digestive system. An article in the New York Times by Judith Newman, 2010, gives a detailed report on her experience trying a juice cleanse as well as some facts from Dr. David Colbert, the New York internist, dermatologist and author of ”The High School Reunion Diet”. Apparently, a juice only cleanse will spike your blood sugar, but shortly after it will drop substantially. This can create diabetic like symptoms and mess with your metabolism, making your body believe it’s starving and slow down your system. My personal opinion is that starving your body is never a good idea. We need a lot of components in out diet to function effectively and remain healthy. We need protein for muscle and tissue growth, calcium for healthy bones and optimal functioning and lots of fibre to not only keep us full, but keep our intestinal systems running well! Starving the body from regular food could lead to binge eating, weight gain as well as a miserable mood… and who wants that!? Be sure to always check with your doctor before starting any new diet program! Muffins that fooled everyone! Double Fudge, need I say more? Let’s face it- life without chocolate seems impossible! 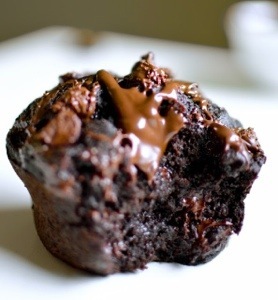 Instead of wasting calories on sugar-laden, artery clogging store bought muffins, try these healthy double chocolate muffins! They are gluten free, use bananas to replace some of the sugar and applesauce instead of oils! My picky, junk food eating boyfriend scarfed one up and said it was great! I did use the brown sugar, although next time I will try replacing it with honey, sucanat or even try no sweetener! I made myself a batch of these on a Sunday and had an afternoon sweet treat to get me through the week. So get out the muffins tins and live well, and love (chocolate) always! I must apologize for my lack of posts lately, I have a new job and have really had to adjust to my lack of free time ( ahhhh adult life…)! Something that is always a great idea when you are super busy during the week is to prepare your food ahead of time. I take a few hours on the weekend to wash, cut and prepare fruit and veggies, make lunches and homemade muffins or granola bars. This way I am less likely to go towards store bought junk and other treats when I have an arsenal of healthy food on hand! 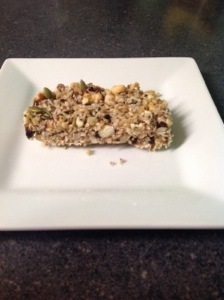 Here is a easy, no bake granola bar recipe that is gluten free, soy and dairy free, vegan and free from added sugar. Why a Personal Trainer can help anyone succeed! Motivation! Having an appointment gives you a reason to be at the gym, and having someone there cheering you on will increase your chances of sticking with it! Injury Prevention: From first time gym-goers to other fitness professionals, having someone there to watch your form and make sure you are doing appropriate exercises for your goals is always helpful! Get what you want: A trainer will create a personalized program to get you reaching your goals much faster! Whether this is to lose weight, tone up or shave off those few seconds of your race! Variety: Bored with the machines in your gym? A trainer can introduce you to equipment you may not be confident using, or give you some new moves that you can incorporate into your routine. Learn: A personal trainer with a recognized certification is a wealth of information- they can probably answer, or find the answer to many of your questions! Safety: Having someone there to spot you while lifting heavier weights and reminding you of your form and breathing is always a great thing! Gain a friend: Once you get to know your trainer, it will seem more like working out with a friend! So get out there, live well and love always! New Years Resolutions- Be SMART this year! Happy New Year to all! I personally had an amazing 2013 and am looking forward to 2014. Working in the health and fitness industry, I see many people hit January running full force with their resolution and then often fade out by March. This does not have to be the case! Choosing a resolution that follows the SMART guide has a much better chance of lasting throughout the year and maybe even an entire lifetime! Here is how to plan your goals the “SMART” way! Specific: instead of saying “losing weight”, use “losing 2lbs per week until …” Or instead of “eat healthier”, try “eat the recommended daily intake of fruits and vegetables every day”. This takes your resolution from a vague idea to a concrete plan. Measurable: Having a measurable goal gives you something to work for! For example: attending the gym at least 4 times per week, lifting 2lbs heavier weights each workout or losing 2lbs per week. Seeing the achievement of your goal through numbers gives you positive feedback. Attainable: Be reasonable with yourself- if you really don’t think you can attend the gym EVERY single day or lose 30lbs in a month then you are setting yourself up for failure. Give yourself small goals that you KNOW you can do! Realistic: This falls in line with the “Attainable” section. You need to look at your lifestyle and plan accordingly. This does not mean you shouldn’t challenge yourself- reaching goals is not often easy, but you need to find something that is within your reach! Timely: Give yourself a time line so that you have something to work towards. For example, losing 2lbs per week for 12 weeks. Or not drinking alcohol for 1 month. When you reach this date you will have something to feel proud of! You can then extend your goals to a further date or challenge yourself with an additional goal. Good luck with your resolutions, I wish all of you the best for 2014! Whatever happens, live well love always! -being able to hold a plank longer than your boyfriend 😉 maybe even more push ups too! -getting that awesome rush of happy hormones after a good sweat! Hello! I am a Registered Kinesiologist and Certified Personal Trainer living in Muskoka! I love great, nutritious food, keeping fit and enjoying the outdoors. Things that make me happy are a dockside yoga session, running and motivating people to be their best! I hope you enjoy my tips, motivational comments and knowledge that I have picked up along the way. Remember to eat healthy, exercise often, and love always!